What Is Levator Scapulae Syndrome? 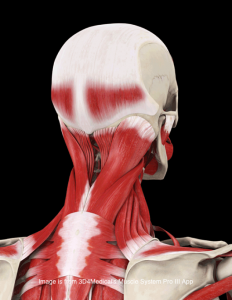 The levator scapulae muscle lies underneath the trapezius muscle, connecting the top of the shoulder blade to the neck. The levator scapulae is an important shoulder blade stabilizer. Faulty shoulder biomechanics or poor posture will increase the demand on this muscle. Then, with repetitive arm motions such as in swimming, throwing, or racquet sports, these muscles can become strained and develop micro tears, leading to scar tissue adhesions within the muscle that create tightness and restricted flexibility/mobility with the muscle. Over time, this can/will progress to more noticeable symptoms of pain and injury. Signs and Symptoms of Levator Scapulae Syndrome?